Corporate networking today has changed a lot compared to previous times. Mobile devices and cloud applications took over from desktops and applications on hosted or on premise servers. 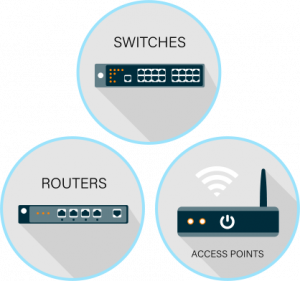 Once it was a matter of firewalls and hardware having a fixed networking infrastructure that did not need to be flexible or offer lots of information. Building relationship with clients or using data from networks in marketing efforts was simply out of question. Today networking needs from clients changed and with that we see need to offer solutions that are in line with corporate trends. In that spirit we now offer solutions from two vendors – Cisco and TP-Link. Both solutions are managed from the cloud, feature rich and adaptable to various needs. You can Contact us at Miadria anytime to address your specific networking needs.